Each participating band will register online, upload an original songs on youtube and a panel of Canadian industry judges will choose the 10 finalists. The 10 finalists will perform in a live National Finale in their country and an audience vote combined 25/75 with a panel of industry judges vote will decide the winning band. 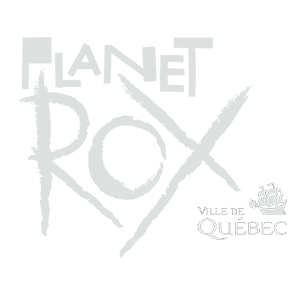 The winning band from each of the countries will be invited to perform at one of Canada’s biggest live music events, the Envol et Macadam Festival in Quebec City on September 2017. The prize includes two live performances of 20 minutes on the indoor stages of the Envol et Macadam Festival 2016, airfares for the winning band members (10, 000 CND maximum budget is available – flight/travel costs that exceed this amount are the responsibility of the band) plus internal travel to the hotel from the airport, four-star accommodation in central Quebec City for 4 nights, free pass for the Festival and promotion of your band in festival communications. In the event that the winning band in the National Final can not be present at the festival in September (they must notify PLANETROX before August 1 2016) their position will be offered to the band who finished in 2nd place in the National Final. The playing order will depend of the musical style of the band which will be determinate before the 1st of August.